The following contest is open to all residents in the Province of Ontario who are the age of majority. No purchase necessary. Void where prohibited. The Win Your Purchase Contest (the “Contest”) runs from Monday, September 10, 2018 at 10:00 a.m. (ET) until Sunday, September 30, 2018 at 5:00 p.m. (ET) (the “Contest Closing Date”). To enter and be eligible to win, a person must be a resident of Ontario who is at least 18 years of age at the time of entry and who is not an employee of Stoney Creek Furniture (the “Sponsor”), its affiliated companies or agents, their respective advertising or promotional agencies, the independent contest organization or a member of any such employee’s immediate family (regardless of where they live) or household (whether related to the employee or not). In these Official Rules, “immediate family” includes mother, father, brothers, sisters, sons, daughters or spouse. To enter, visit Stoney Creek Furniture at 395 Lewis Road, Stoney Creek, Ontario, L8E 5N5 or 7979 Weston Road, Vaughan, Ontario, L4L 9C8 and purchase any product, or make a purchase online at www.stoneycreekfurniture.com. The purchase must be made and registered with the Sponsor during the Contest Period. Participant will automatically receive one (1) entry into the Contest per invoice amount to a maximum of $3,000.00 CDN. All entries become the exclusive property of the Sponsor. No Purchase Necessary: To enter without purchase, participants must write by hand an essay of a minimum 100 words stating why it would be great to win their Stoney Creek Furniture purchase. Essays must be mailed to: Stoney Creek Furniture ‘Win your purchase’ Contest, 395 Lewis Road, Stoney Creek, Ontario, L8E 5N5 and received on or before September 30, 2018. If it is discovered by the Sponsor (using any evidence or other information made available to or otherwise discovered by the Sponsor) that any person has attempted to: (i) obtain more than one (1) Entry per purchase during the Contest Period and/or (ii) use (or attempt to use) multiple names to enter or otherwise participate in or disrupt this Contest; then he/she may be disqualified from the Contest in the sole and absolute discretion of the Sponsor. Your Entry may be rejected if (in the sole and absolute discretion of the Sponsor) the Entry Form is not fully completed with all required information and submitted and received during the Contest Period. The Released Parties (defined below) are not responsible for late, lost, misdirected, delayed, incomplete or incompatible Entries (all of which are void). All Entries are subject to verification at any time and for any reason. The Sponsor reserves the right, in its sole and absolute discretion, to require proof of identity and/or eligibility (in a form acceptable to the Sponsor – including, without limitation, government issued photo identification): (i) for the purposes of verifying an individual’s eligibility to participate in this Contest; and/or (ii) for the purposes of verifying the eligibility and/or legitimacy of an Entry entered (or purportedly entered) for the purposes of this Contest. Failure to provide such proof to the satisfaction of the Sponsor in a timely manner may result in disqualification in the sole and absolute discretion of the Sponsor. One (1) Grand Prize winner will receive a refund in an amount equal to the eligible purchase made by the entrant during the contest period, up to a maximum of $3,000 CDN. 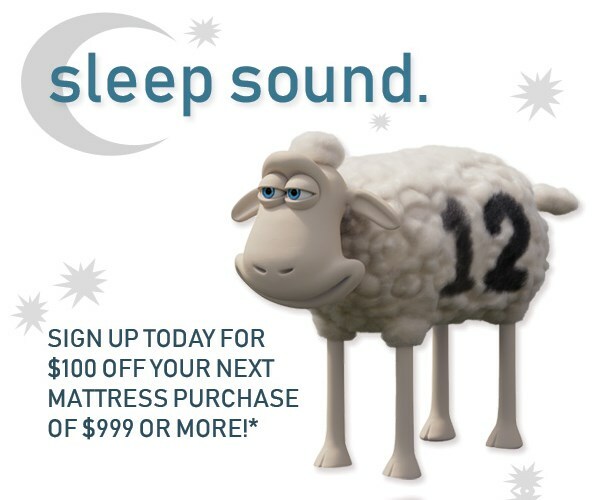 In the event that the selected entrant entered the contest via the ‘no purchase necessary’ method, the Prize will consist of a Stoney Creek Furniture gift card in an amount equal to the highest amount eligible to be won by any other qualifying Entrant during the Contest Period, but not to exceed $3,000 CDN under any circumstances. Prizes must be accepted as awarded. The Sponsor reserves the right to substitute the one prize for another of approximately the same retail value, in its discretion without prior notice. Prizes cannot be exchanged for cash or other substitutes. On or about October 15, 2018 (the “Draw Date”) in Stoney Creek, Ontario, one (1) eligible entrant will be selected by random draw, from among all eligible Entries submitted and received during the Contest Period in accordance with these Rules, to win the Prize. The odds of winning depend on the number of eligible Entries submitted and received during the Contest Period in accordance with these Rules. The Sponsor or its designated representative will make a minimum of two (2) attempts to contact the selected entrant (using the email address provided on the Entry Form) within ten (10) business days of the Draw Date. If a selected entrant cannot be contacted within ten (10) business days of the Draw Date, or if there is a return of any notification as undeliverable; then he/she may, in the sole and absolute discretion of the Sponsor, be disqualified (and, if disqualified, will forfeit all rights to the Prize) and the Sponsor reserves the right, in its sole and absolute discretion and time permitting, to randomly select an alternate eligible entrant from among the remaining eligible Entries (in which case the foregoing provisions of this section shall apply to such newly selected entrant). By entering the contest, entrants agree to abide by the Official Rules and the decisions of the independent contest organization with respect to all aspects of the contest. By entering, the winner consents to the use of his/her name, address (city and province) and/or photograph without further remuneration, in connection with any publicity carried out by or on behalf of the Sponsor. The winner will be required to complete and sign a Declaration & Release Form confirming compliance with the Official Rules, acceptance of the prize as awarded, without substitution, and release the Sponsor, its affiliated and related companies, advertising and promotional agencies, the independent contest organization and their respective shareholders, directors, officers, employees, agents, representatives, successors and assigns (collectively, the “Releasees”) from any liability in connection with the prize of this contest. The winner will be required to correctly answer without assistance of any kind, whether mechanical or otherwise, a mathematical skill-testing question posed on the Declaration & Release Form in the presence of the salesperson, who will verify the submission. Chances of winning are dependent on the number of entries received. The sponsors may, at their sole discretion, declare any person whom they believe to be abusing the Contest Rules prohibited from entering any contest. Such abuse includes entering false information and submitting more than one entry per person.